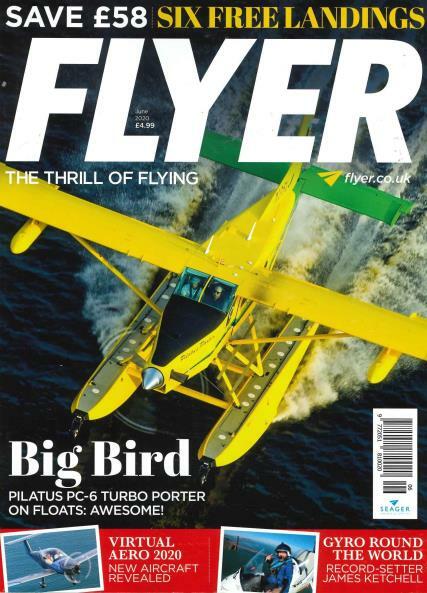 Flyer Magazine, along with its sister publication, Flyer Airportal is published thirteen times in a year from Bath, England. Buy a single copy or subscription to Flyer magazine. It is dedicated for the cause of “General Aviation (GA)” with the bulk of its principal “Features” focusing on GA, leading to aircraft categories like aircrafts specific to manufacturers, owner/enthusiast groups and distributor dealers; commercial airlines, airports, air show events; helicopters, microlights, gyroplanes, air-sports; statutory authorities, flight planning, weather forecasting, finance and insurance, flight safety, Pilot supplies, Learners at flying etc GAEvents, GANews, GAPhotography and GAScholarships, to name a few. Information related to ‘Flying Today’, ‘Fly-ins’, ‘Clubs and schools’ and ‘Flying clubs’ is available on its “Services”. Student and Adult tickets are also sold online for Flying Shows. The Learning Zone for anonymous posts and, for interaction of members and non-members to engage with Aircraft Owners and Pilot Association, AOPA.